Welcome to the start of a Books by Theme mini-series devoted to one of YAs most enduring new trends: fairy tale rewrites and retellings. There's something comfortable about going into a book with a sense of the story, and something satisfying about finding it new and different than you'd expected. I'll be reviewing some of my favorite (or most hyped) retellings, with special attention to how they take the story and make it their own. Click the book titles for my reviews or Goodreads! Ella will always be, for me, the consummate fairy tale retelling, especially for Cinderella. Levine's classic takes a simple tale of love at first sight and transforms it into a powerful tale of personal growth, bravery, friendship, and sacrifice. Ella is more than the kitchen maid. She's a feisty, energetic spark with a talent for languages and a quick mind. Her love of the handsome prince grows out of friendship--but it's only one part of Ella's true journey, to reverse her curse and free herself from her stepmother's thumb. In the end, she's the savior--through bravery, through cleverness, and most of all, through strength of will. You also get glass slippers, fairy godmothers, magical jewels, and other nods to the classic. I adore this book. 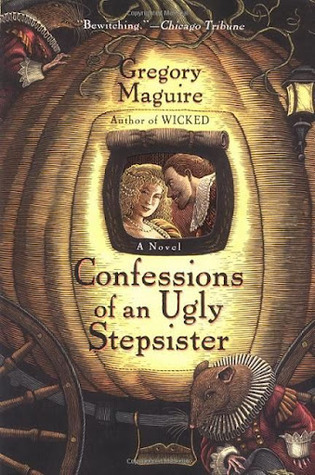 It's one of my favorite fairy tale retellings (not just counting Cinderella). Meet Cinder, an orphaned cyborg loathed by her stepmother and forced into menial servitude. As a mechanic, which is pretty cool. Meet the charming prince, a charismatic young diplomat on the verge of ruling a country torn by plague and imminent war. And of course, cyborgs aren't exactly the world's most popular people. What results is a story of prejudice, freedom, and impossible choices with an interplanetary scope. 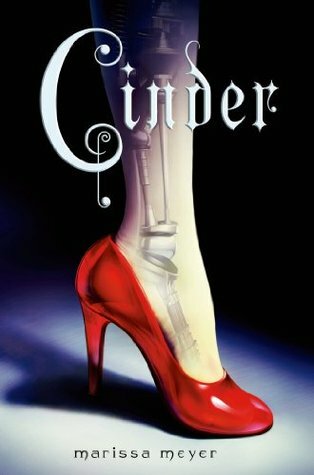 While you still get a ball and a lost shoe, Cinder improves on the original with a clever, complex heroine, a prince with a personality, an adorable stepsisterly bond, and telekinesis. Meyer is delightfully clever in her adaptation of the fairy tale's elements. Set in Holland, this retelling from the author of Wicked follows Iris, stepsister to the lovely, wealthy Clara. Confessions challenges what you believe about the fairy tale. Iris is clever, artistic, and plagued by plain looks and the disregard of her stepmother. She's also kindhearted and no-nonsense. While her mother dreams of using Clara's wealth to renew the family fortunes, Iris struggles to deal with Ruth's muteness and Clara's neuroticism. And Clara? She could care less about the ball. She retreats to the hearth to hide from her stepmother's plans and the difficulties of the outside world. Meanwhile, Iris struggles with her lot in life, her artistic ambitions, and her love for a painter's apprentice. Expect complex writing, gritty details, and a bittersweet, open ending. I greatly enjoyed it, but watch out for Maguire's intensely ornate prose. Compare it to the original: An account of what "actually" happened, from the stepsister's point of view. This one is cheating, a bit, because it's not exactly a retelling. However, Throne of Glass was very much inspired by Cinderella. 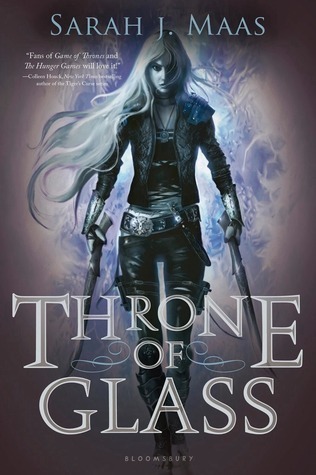 Specifically, Maas noted that the character of Celaena Sardothien came to life when Maas was watching the Disney Cinderella and wondered, during the ball scene, "What if Cinderella were fleeing because she had just killed someone?" Enter Celaena, a girl as much at ease with knives as ball gowns. There are elements of a handsome prince and a beleaguered girl, but this fantasy epic is very much its own story. Compare to the original: An entirely different story, inspired by the fairy tale. This hasn't come out yet, so I'll be doing a lot of speculating here. Even reviews are sparse. Mechanica follows Nicollete, an ambitious young inventor scorned by her stepsisters and trapped as a servant in her own home. Hope comes with her discovery of a mechanical workshop hidden in her home, a secret place where her ambitions can become reality. Though many have compared it to Cinder (I guess because of the inventor versus Cinder the mechanic), this one is absent of hard science-fiction and seems to promise, if anything, more of a Steampunk style. ... Also she's not a cyborg. Compare to the original: A story with elements of the original but a twist on the characters and themes. What are your favorite takes on Cinderella? Cinderella it is not my favorite fairytale, but i love her retellings. 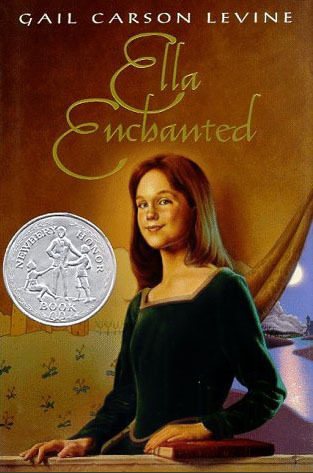 Specially Ella Enchanted, i read the book when i was a child and i love it, it's a special book for me, it's to cute and charming. Thanks or commenting! "Charming" is a great word for Ella Enchanted. You just can't not smile reading it. As for Mechanica, I think the inventor thing is like Cinder, but pretty much everything else about it is SO different. I wasn't partial to the movie, but mostly because it was so different from the book. I think, as it's own thing, I'd have enjoyed it. Thanks for the comment! Confessions is more of an adult book, but it's really good if you like dense stuff.